In conjunction with its 6th birthday festival, taking place on the 25th to 27th April 2018, Malaysia’s leading eCommerce platform rolled out a slew of innovations that aim to bring the best features of offline shopping, into the hands of customers. 1. Full personalisation – The Lazada app now uses artificial intelligence (AI) to drive personalisation across the customer shopping journey. Products and offers are shown to customers based on their app interactions and purchase history. As customers use the app more, the algorithm learns their individual preferences. Over time, customers will see deals that are relevant to them, and have a more engaging experience every time they open the app. 2. Chat Now – Currently in Beta, customers are now able to send instant messages within the Lazada app to selected sellers and ask any questions regarding a product before making a purchase. For categories like Fashion, Lazada’s largest category by volume, this feature will assist in helping customers clarify size, colour and availability. 3. Cashback with Lazada E-Wallet – Lazada’s new E-Wallet allows customers to pay for all their shopping with just one click, while offering more value for money with exclusive discounts and cashback. 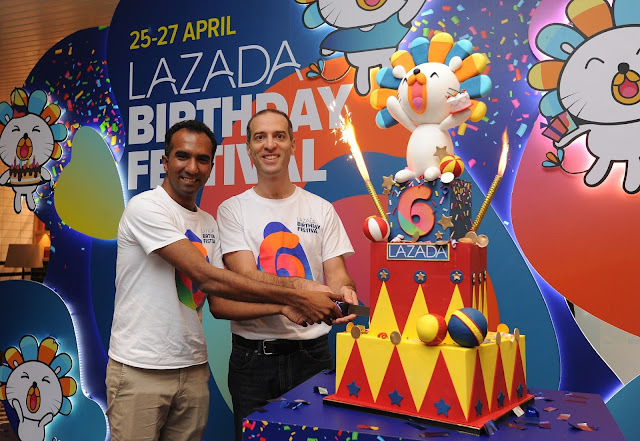 During the Birthday Festival, Lazada will be offering up to 10% cashback for purchases with the E-Wallet. 4. Follow your favourite stores – When customers find brands or sellers that they fancy, they can now ‘follow’ these stores on Lazada. Upon following their favourite stores, customers will be the first to know on new arrivals, promotions, and discounts. 5. Scan to shop – Lazada’s new integrated QR Code scanner will take you directly to a promotion, product or seller page within the Lazada app. Customers can start looking out for the Lazada QR codes at selected brand and seller offline stores. 6. Shake for deals – There’s a whole new way to get more discounts and exclusive deals, just by ‘shaking’ the Lazada app. For the Birthday Festival, customers who are logged in on the app, can shake for deals at 1.30PM and 8PM to win vouchers up to RM100. 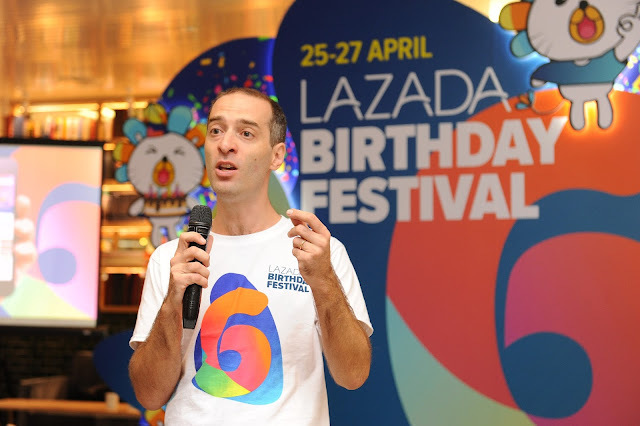 Besides the new features, customers can expect discounts of up to 90% on millions of products on Lazada during its Birthday Festival. Customers can also expect amazing deals from brands such as Xiaomi Redmi Note 5 pre-order exclusive on Lazada, Carlo Rino and Maybelline up to 70% off, as well as amazing offers from HP, MAC, Nescafe, Maggi and Milo. There will also be offers from Lazada’s partners – including a 15% additional cash rebate to holders of the CIMB Lazada Prepaid Mastercard, Lazada e-vouchers for PETRONAS Primax and Kedai Mesra customers, 15 pairs of flight tickets from AirAsia Big and many more. Throughout the three-day fiesta, customers can look forward to 1,000 flash sales, over 1,000 different vouchers and 145 different Surprise Boxes available. In addition, they can also stand to win up to RM100,000 worth of giveaways by participating in competitions on Lazada’s Facebook and Instagram pages; watch 10 LazadaTV sessions – including live contests with Samsonite, Fujifilm, HP, and DJI; watch Fashion and Beauty tips from Levi's, L'Oréal, Nivea, Elianto and Laneige; and win prizes (including a RM16,000 home theater system from JBL) by interacting with the Lazada Truck that will be visiting 28 locations around Malaysia.